We share 95% of our DNA with primates and most of our physical differences are disadvantages, and yet humans are so much more than animals – the brain is key. 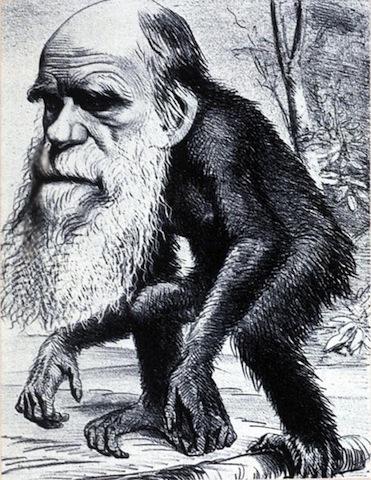 Many people agree with Gilbert and Sullivan that Darwinian man, though well behaved is nothing but a monkey shaved. The recent discovery that we share around 95% of our DNA sequence with our closest relative suggests that there may be some truth in that statement. A closer look shows that almost all the physical changes that have taken place in our bodies since the split from our common ancestor seven million years ago involve loss - we are bald, with weak muscles, and lack characteristics found in our relatives. Most remarkable, we are the only creature unable to survive on raw food. Eatan uncooked diet and in the end you will die. Our guts have been so reduced and our digestive enzymes so enfeebled that we depend on an external stomach, a frying pan or microwave, to stay alive. In just one organ, the brain, we have gained in comparison to the chimpanzee; and its improvements are striking indeed. This lecture will explore why mankind is much more than just another animal.